1. Lose the “nubs” on the bottom. This is one that hasn’t been mentioned by anyone, but during the first session of Street Fighter IV, they became an issue. Just to the sides of the holes for the wrist strap are two nubs. They’re small, but they’re sharp. They seem to serve no purpose whatsoever, and if you tend to move your hands a lot, they can hurt quite a bit. For most games, they’re not an issue, but for something a little more high impact, those things need to go. 2. Better online… anything. 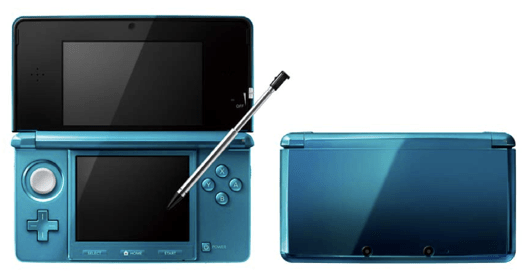 Yes, it’s a typical Nintendo problem, and the 3DS has made some strides. You can see what games your friends are playing now and you only have to deal with one friend code. Joy! However, even though you can see your friends online, you can’t do anything with that info. You can’t send messages (except for message shorter than a Tweet, and that goes to everyone), and there’s no basic invite system. 3. Ability to save “bonus” videos. Those who downloaded a day one firmware update got a nifty OK Go 3D video, and it’s cool stuff. However, it automatically deletes when the next update rolls around. Why not allow us to save it to the SD card? 4. More AR Card support. Yes, this could come with time… or it will die a slow, painful death like every other attempt at video game cards (remember the E-Reader?). There’s a bit more going on with AR cards (lots of coding in the background surely), but these things are rife with potential. Just seeing your room explode with virtual reality type stuff is something to gawk at, let alone play it. Oh, and while we’re at it: Face Raiders 2. Now. 5. Expand the limit on the step count. The idea is that you take your 3DS with you and earn coins for every 100 steps you take. However, you’re limited to 1000 a day, which means if you want to a run a marathon with your 3DS, you don’t earn any credit for it. Plus, it’s not like 1000 steps a day is going to enlighten your life (although it’s better than none). You can already game the system in a number of ways to cheat, but why not let those who truly want to be rewarded for their fitness do so?